Contains six 3 1/2 oz. 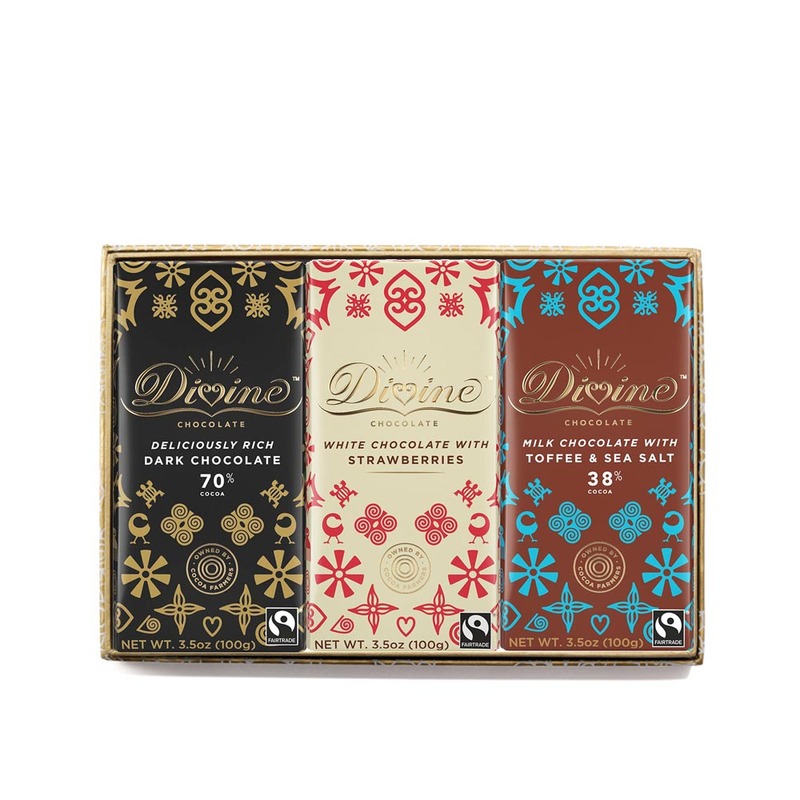 bars: 70% Dark, Milk, White Chocolate Strawberry, Milk with Toffee & Sea Salt, Dark Chocolate Raspberry, and Mint Dark. Kosher certified. Packaged in a handmade paper box from Get Paper in Nepal. 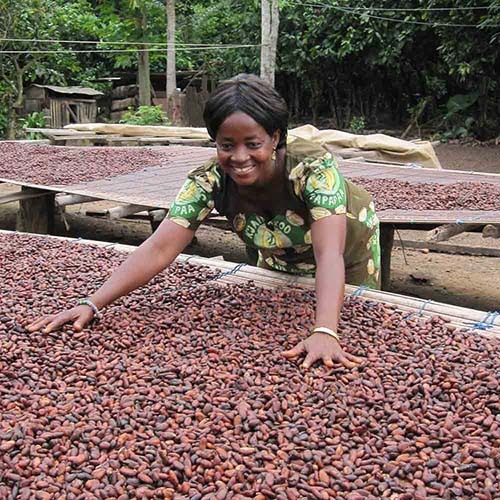 Ordered these for my Fair Trade store for the first time this year and what a delight they turned out to be. Delicious chocolate and flavors and very reasonably priced. I feel confident that I will be able to sell them through Easter--I have a small shop, but these are very popular. Chocolate Box is a Win! Lovely presentation of a high quality product. Terrific gift! 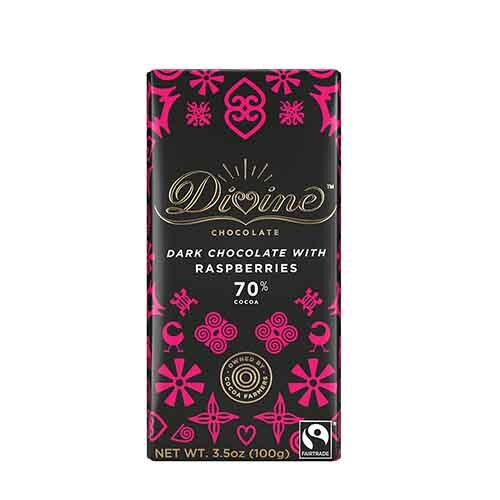 Haven eaten Divine chocolates many times, I know that the product is very good. I ordered this box of top seller chocolates for a seasonal gift. I am sure the recipient will love the beautiful box the chocolates come in as well as the chocolate. 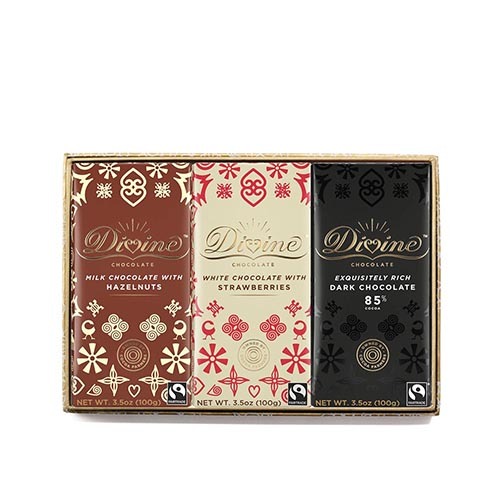 These chocolates were in nice gold boxes and made very nice Xmas gifts. Will order again! 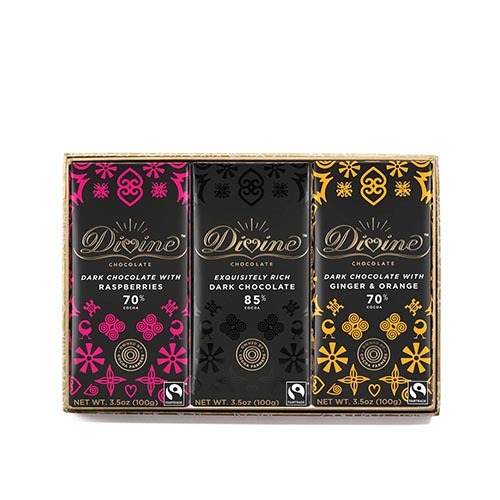 wonderful flavors, especially loved the 70% Dark, Milk Toffee & Sea Salt. I want some more!